WHAT’S UP, GENRE: URBAN ARTS NYC FAM AND THOSE DOWN TO TRAVEL! 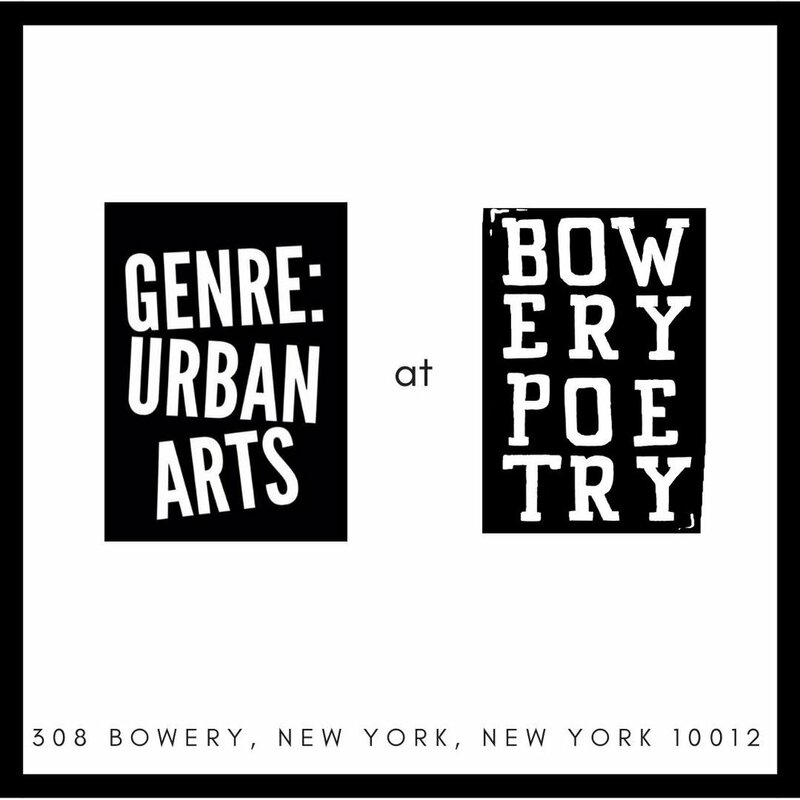 GENRE: URBAN ARTS (@GENREURBANARTS) IS HOSTING A SERIES AT BOWERY POETRY. OUR SHOWS WILL RUN THE GAMUT OF PERFORMANCES TYPES WITH NEW FACES IN THE MIX. TALENT WILL BE ANNOUNCED ON OUR SOCIAL MEDIA. MARCH 24TH @BOWERYPOETRY (NYC) 6:00-7:30 HOSTED BY POETS NIA MORA & RICARDO HANLEY, JR.
TICKETS ARE 15.00 IN ADVANCE AND 20.00 AT THE DOOR.